Vox Cinemas and Carnival Cinemas plan to open nearly 1,000 screens across Saudi Arabia, as per experts at the Cinema Build KSA Forum in Riyadh. 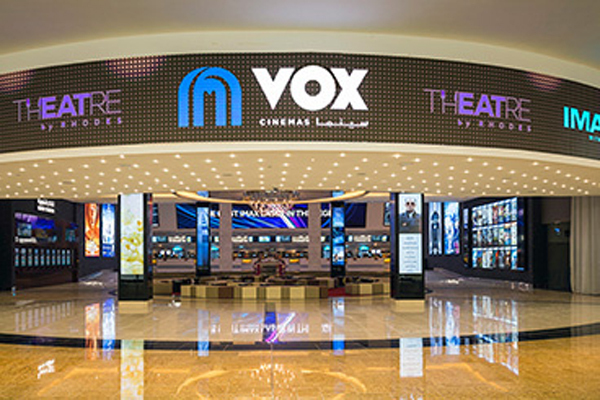 Vox Cinemas – a subsidiary of UAE-based Majid Al Futtaim – is planning to spend $530m (SAR2bn) to open up 600 additional screens over the next five years, which will bring the total number of cinemas in the kingdom to 350. India-headquartered Carnival Cinemas, for its part, is planning to operate an additional 300 screens over the next five years with adequate research and approval. “Our idea is to move to all these provinces to set up entertainment centers and make Carnival synonymous with cinema across the country,” said the managing director of Carnival Cinemas. Leila Masinaei, the managing partner of Great Minds Event Management, said the arrival of additional cinemas forms part of an “unprecedented era of social and economic reforms” in Saudi Arabia. She further added that the cinema ban lift opens doors to untrodden grounds for investments and lucrative revenue streams for the kingdom and the entertainment sector stakeholders. Saudi Entertainment Ventures CEO Bill Ernest said the firm was planning to open seven cinemas in Saudi Arabia in 2019 as it works towards its goal of having 50 – managed as a joint venture with AMC cinemas – by 2022.